The Baltimore County Public Library has again taken steps to make requesting rooms more difficult. We'll work to find a place to host our upcoming meetings. Baltimore call-in number (443) 577-2370. If there's an issue with that the 804 number below is direct to Microsoft. Out of 9 WiFi dishes that have been installed since 2013, two were knocked slightly out of alignment in last week's wind storms, degrading performance to those sites. Additionally, a power supply failure caused issues at our third receive site. 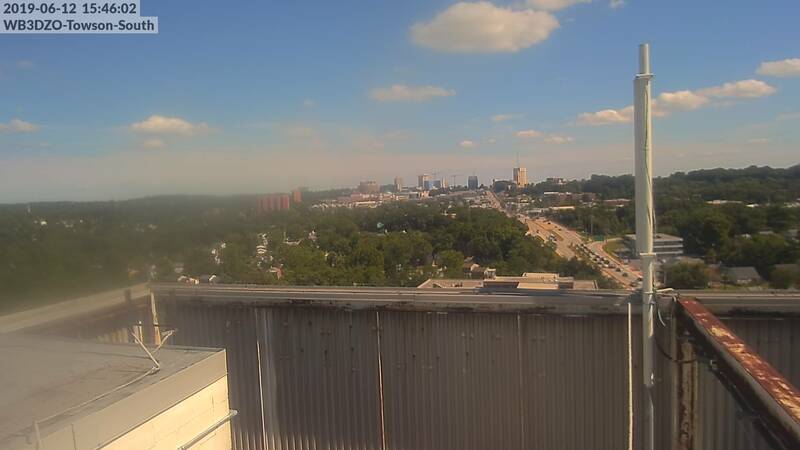 After climbing atop 4 roofs in 2 days, everything is back up and working. We also upgraded our network hardware, now giving each site a link to the internet, and a backup route to the rest of the network through VPN tunnels. We now have improved monitoring and control over the entire network as well. At least we didn't drop a load of cinderblocks on one of our host sites! A special thanks to Lizard N3GXH for his assistance getting our failed site back online! 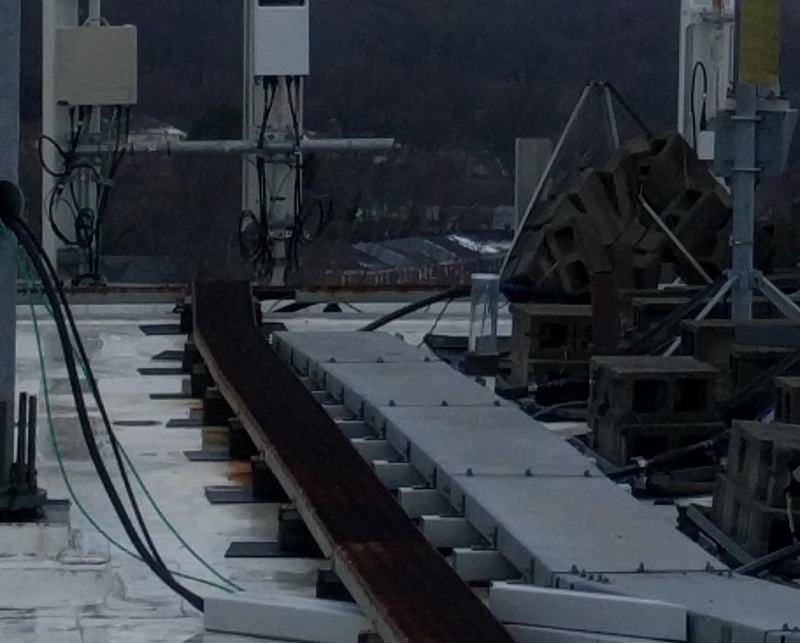 After more than four years of uninterrupted service, Friday's wind storm pushed a few of our link antennas out of alignment. We apologise for the inconveniences and will work to get everything restored this week. Sharon Kay Dobson, 54, of Reisterstown, Maryland, passed away on Sunday, January 14, 2018 in her home. She was born on March 13, 1963, and was the daughter of the late Preston Donald Winemiller and Mary Patricia (Long) Winemiller. She was preceded in death by one brother, Preston Donald Winemiller, Jr. She is survived by her husband William A. Dobson, III and daughter, Patricia A. Dobson. Sharon, K3DUH, was an active in the Amateur Radio community and President of the Baltimore Amateur Radio club. She published three novels—Murder at Swan Cove, Middle Plantation and Witness to War with a fourth book, Finding Emily that is scheduled for release in 2018. A memorial service will be held at 11 a.m. on Thursday, January 18, 2018 at Beth Israel Congregation, 3706 Crondall Lane, Owings Mills, Maryland 21117. In Lieu of flowers, memorial contributions may be made to Beth Israel Congregation and St. Jude’s Children’s Hospital. 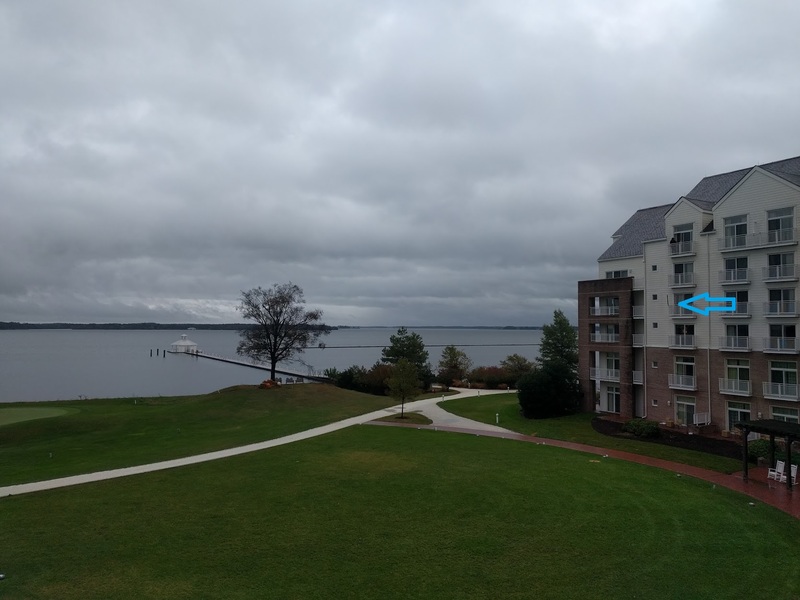 The BRATS brought out the big guns, bringing our new portable DR-2X repeater to the 2018 MS Challenge Walk in Cambridge, MD. Despite setting up on the wrong side of the hotel, the repeater worked great, providing perfect coverage even for HTs inside of a car throughout the event. With a mix of analog and Yaesu Fusion HTs and mobiles, we operated in full auto mode throughout the weekend. As always, the BRATS drove a lot to help keep the participants safe! Despite the rain on Sunday, the walkers, volunteers, and staff weren't going to keep us from having a great time getting a few more laps in! A special thank you to Bob WA3SWA and Jim KB3SKN as always for being our first SAGs on the course, N3GXH and K0RYX for bringing the repeater and equipment to make sure we could run without issues, KW0TTR for riding as a bike ham to give us maneuverability and direct reports, and Brad K5KNK for his support throughout the event, especially with pulling route markers long after the rest of us were off the course! BRATS Host 5th Annual Ernie L Walker Memorial JOTA! 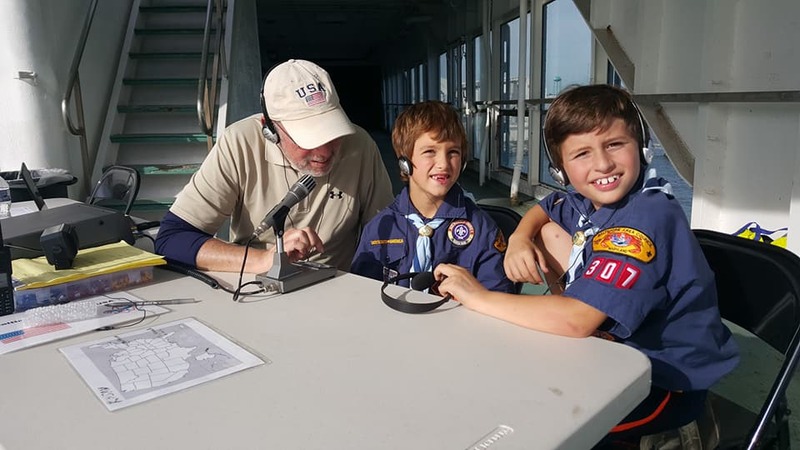 On Saturday, October 21, the BRATS hosted the 5th annual Ernie L. Walker Memorial Jamboree on the Air in conjunction with Scouts and Leaders from the Boy Scouts of America. 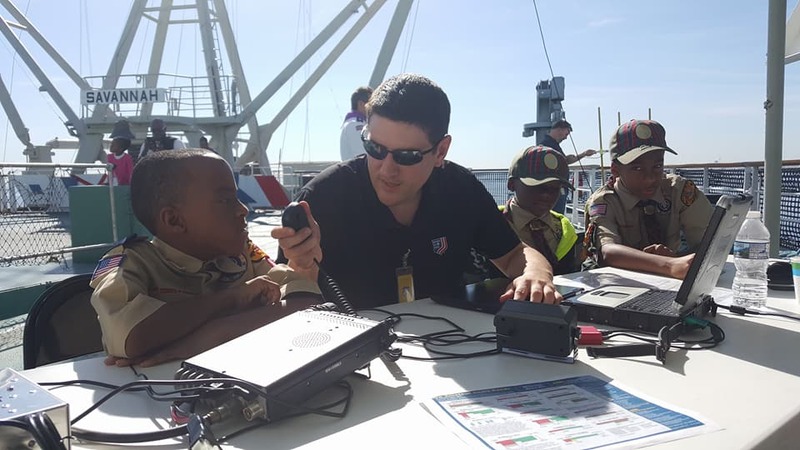 The BRATS hosted 111 Scouts and over 100 family members throughout the day, logging 34 contacts, including QSOs with Germany, Italy, Sweden, Austria, France, Bermuda, Canada, Mexico, and even Oman! We also had a satellite/ISS Demo from Andy N3AWP. Conditions didn't allow us to make contact, but Andy put on a great presentation and the Scouts and adults in attendance came away with a greater understanding of AmSat operations. Thanks Andy! The new Low Band Systems quadplexer and bandpass filters worked great, enabling simultaneous 20 and 40m operation from two radios. We had far fewer issues with interference than when we were running on separate antennas, and signal quality was much improved on 40. The BRATS wish to thank our hosts, the crew of the NS Savannah including the ship administrator Erhard Koehler, the QA representative, and Eric, for their assistance throughout the day, and Cliff Marks KB3VQU for again climbing the mast to get our antenna hoisted. We're also deeply indebted to Chris Gutberlet and Mark Huete for the organization and time involved in filling out all the requisition forms necessary to host an event aboard a floating nuclear power plant, and Leah Huete KC3DFM for all the wonderful photographs taken throughout. And of course a special thank you to the BRATS members that help make this event a success, from providing the heavy-lifting necessary to setup 11 Jamboree on the Internet stations, 2 HF radios, multiple VHF setups, a long wire antenna, and the support to keep 120 Scouts organized. Thanks to WA3AER and KA3ZMN for their support keeping the radios running, K2GZL, K2AGR, K5KNK, K5DKN, KW0TTR for their help throughout the event, and especially K0RYX and N3GXH for their technical expertise and efforts in organizing and helping this event come together. BRATS Help Keep MS150 Safe and Smooth! The BRATS stepped up this year in the face of declining volunteerism overall, helping deliver over 400 pounds of ice and 20 gallons of water to rest stops, manning rest stops when necessary, assisting with 8 tire changes, and SAGging 12 cyclists. The BRATS team drove over 2,500 miles, and had a blast doing it. 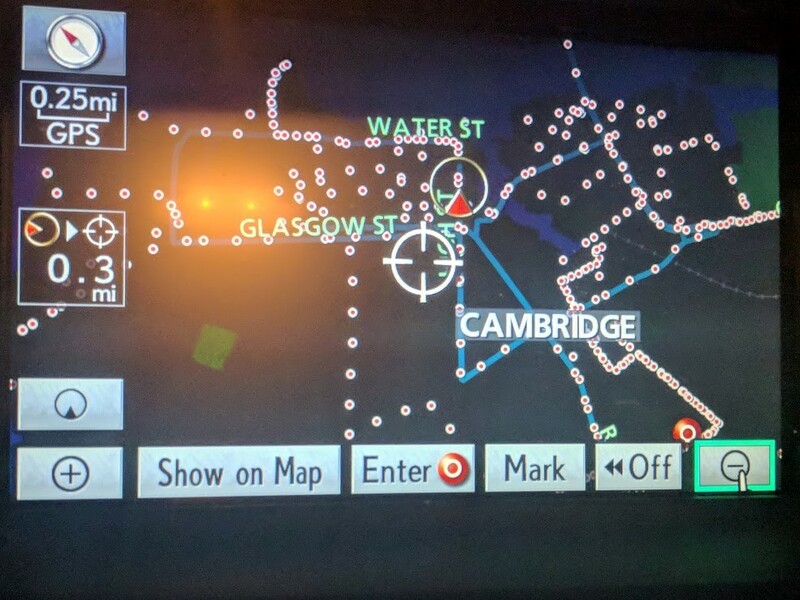 We also invested heavily in APRS trackers, and changed settings to guarantee more frequent position updates. We were able to track one bike mobile, the supply trucks, and three additional non-ham SAG vehicles, in addition to all of our vehicles, providing a much more complete route picture. In response to complaints from the local club (seriously, what amateur radio club asks how much you're being paid to volunteer?) the BRATS brought along our own repeater. 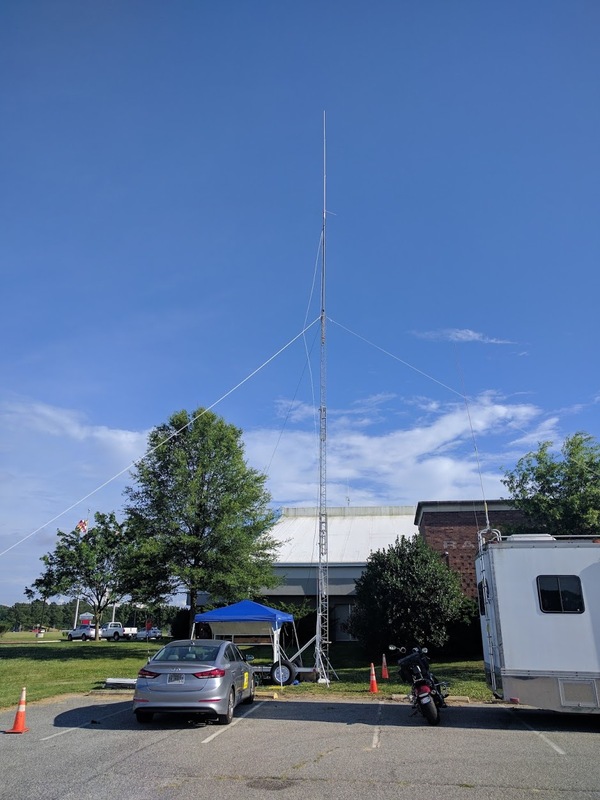 With some unanticipated filter issues we ended up running simplex, but 100w simplex through a 17' 9 dB antenna provided great coverage for the entire event. 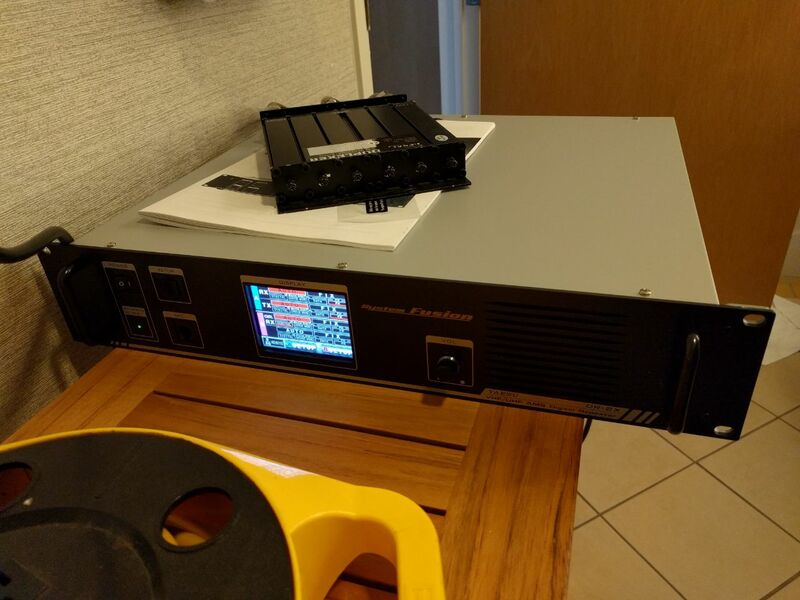 As bad as the Yaesu Fusion DR1X repeaters are, they do include good filtering, and we'll be making some upgrades to our portable repeater equipment in the offseason. A very special thanks to K0RYX, N3GXH, and K2GZL for all their help in cleaning up our tower trailer and prepping it for the journey, and for helping put together our equipment package. And thank you to our awesome team that shows up year after year assisting this and our other events, including Bob WA3SWA, Jim KB3SKN, Floyd K5KNK, Cameron KW0TTR, and Brent K2AGR. No thank you would be complete without recognizing Jason KC3FET for all of his time and efforts spent with the Society before and during the event to make sure it was a success. 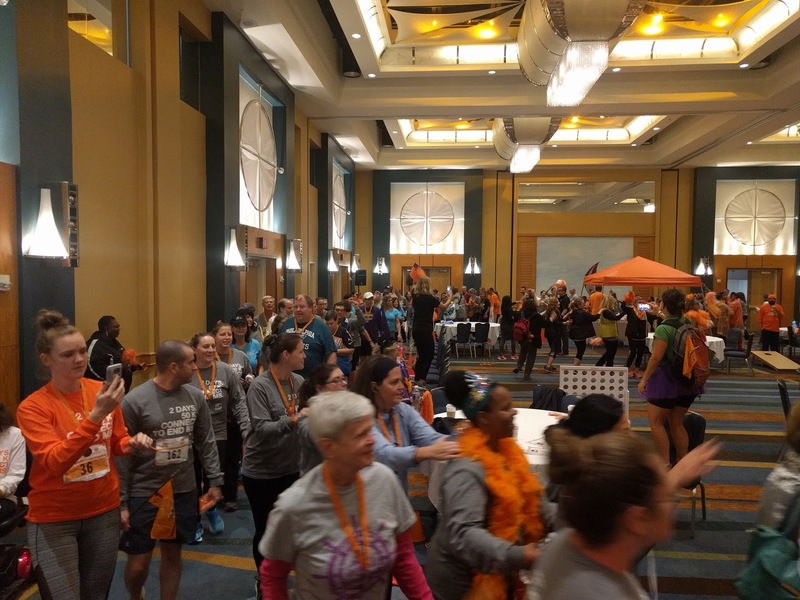 Thank you all and we'll see you in the fall for the MS Challenge Walk! 2017 Amateur Radio Field Day will be held from 2pm Saturday, June 24 through 2pm Sunday, June 25 at a private residence not far from Randallstown, Md. This is our third annual Field Day event. As usual, we will be operating and logging contacts as WB3DZO.